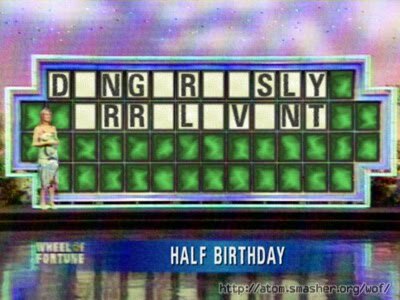 rettorically speaking: would you like to buy a vowel? Well, at least my editors take me seriously. So do I. Sometimes, even that's a bit of a stretch - taking myself seriously, I mean. I wonder what they think of me - that I just sit around wasting away all day, every day? That's the only reason I can see for being tasked with various daytime activities. I'm getting published. My name is getting around. I'm going places. Opportunities are coming in. This is what I tell myself; this is what keeps me going.